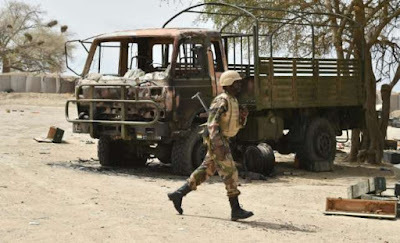 The wounded soldiers, who were part of troops that successfully fought through the ambush between Azir - Kubua along Damboa road are reported to be in a stable condition. The statement read in part, "In a clearance operation, the troops took the battle to the terrorists in their enclaves at Kusha-Kucha, Surdewala, Alkanerik, Magdewerne and Mayen villages, all situated along the Nigerian – Cameroonian border." But the military was quick to defend itself stressing that the role of securing the school was vested with "sister security agency."